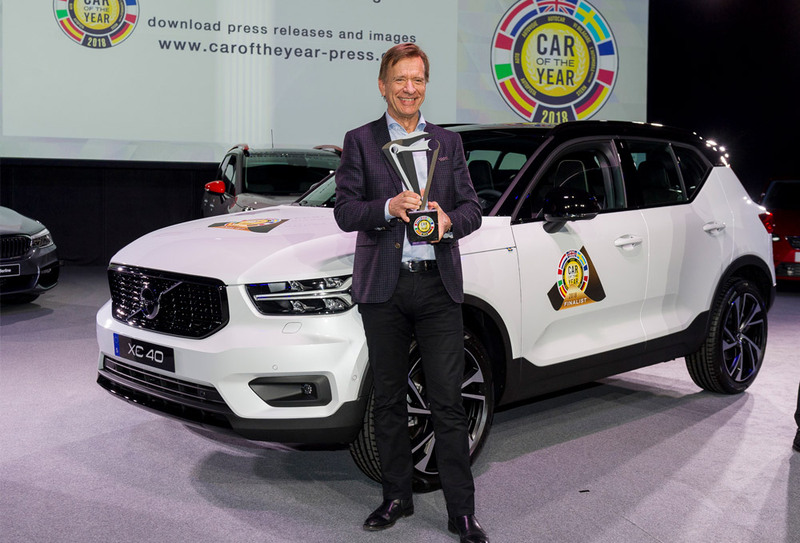 No other Volvo did it in 55 years, but XC40 won the Car of the Year 2018 award with an ample margin, gathering 325 points, as announced in Geneva Palexpo on the eve of its International Motor Show. Made winner by a Jury consisting of 60 members from 23 European countries, the trendy Volvo succeeds in this contest another SUV of similar size. The small Seat Ibiza, in fact not so small given its roomy interior, was second among the seven nominees aspiring to the title, with 242 points, a recognition of its good position in the B-segment. BMW 5-series, was third in this final voting (226 points), followed by Kia Stinger (204), Citroën C3 Aircross (171), Audi A8 (169) and Alfa Romeo Stelvio (163). The group of seven finalists came last November from a long list of 37 candidates.